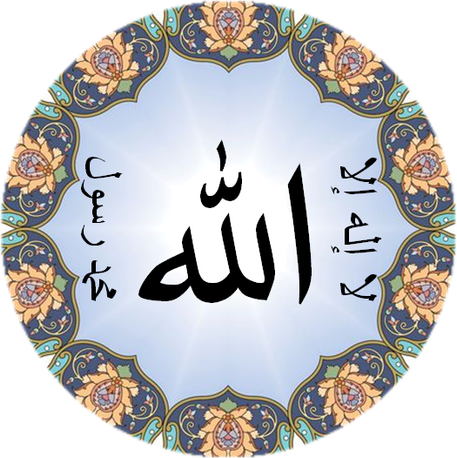 Allah will keep firm those who believe, with the word that stands firm in this world and in the Hereafter (14:27). [It will be] on the Day the earth will be replaced by another earth, and the heavens [as well], and all creatures will come out before Allah , the One, the Prevailing. (14:48). And the example of a bad word is like a bad tree, uprooted from the surface of the earth, not having any stability (14:26). “Our Lord, I have settled some of my descendants in an uncultivated valley near Your sacred House, our Lord, that they may establish prayer. So make hearts among the people incline toward them and provide for them from the fruits that they might be grateful (14:37)”. ” If You should punish them – indeed they are Your servants; but if You forgive them – indeed it is You who is the Exalted in Might, the Wise”. (5:118). Then he (صلى الله عليه وعلى آله وسلم) raised up his hands and said, “O Allah! My Ummah, my Ummah,” and wept; Allah, the Exalted, said: “O Jibril (Gabriel)! Go to Muhammad (ﷺ) and ask him: ‘What makes you weep?” So Jibril came to him and asked him (the reason of his weeping) and the Messenger of Allah informed him what he had said (though Allah knew it well). Upon this Allah said: “Jibril, go to Muhammad (صلى الله عليه وعلى آله وسلم) and say: ‘Verily, We will please you with regard to your Ummah and will never displease you”. “O our Rubb! I have made some of my offspring to dwell in an uncultivable valley by Your Sacred House (the Ka’bah at Makkah) in order, O our Rubb, that they may perform As-Salat (Iqamat-as-Salat). So fill some hearts among men with love towards them, and (O Allah) provide them with fruits so that they may give thanks.” (14:37). What Duas should we recite during Itikaf?